In the current digital age, you may own more than one laptop or desktop computer. And if that isn’t enough, you’re also likely to own a smartphone or tablet, meaning you have as many as three to four devices that are capable of connecting to the Internet. These devices are often used to store financial documents, photos, videos, and other important files. All of your computers and mobile devices are vulnerable to disasters, such as hackers or theft, which can cause a loss of important information. With Universal Backup, such losses won’t be a problem, as it protects all of your computers and mobile devices, providing a solution for any such situation. IDrive backs up all of your computers and mobile device data into a single account, allowing you to access, share, and manage it from anywhere. Once logged in, critical data from your computers and mobile devices can be backed up effortlessly. High Performance. Enterprise Ready. Use the same data protection and recovery techniques that Fortune 500 companies rely on to safeguard your data! Support for Exchange, MS SQL, Oracle, MS SharePoint, Linux, Mac and Windows servers. In addition you can backup your iOS/Android devices! Our mission is to successfully recover data using our certified ISO 5 cleanroom environment, protect data privacy with a certified secure data recovery process that undergoes an annual SOC 2 Type II Audit, and offer the ultimate customer service experience with 24/7 support. No job is too big or too small for DriveSavers – we recover data from all consumer devices and perform specialized business data recovery services for Fortune 500 companies. 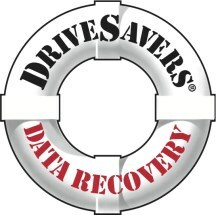 If you have lost valuable data, we can save it! If viruses are mischief, malware is mayhem. Malware doesn’t just want to disrupt your network, it wants your keystrokes, logins, passwords, address book, data, credit card information, favorite t-shirt and possibly your cat.